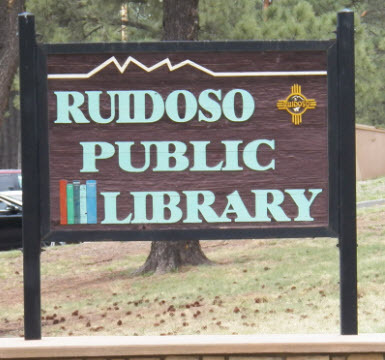 Manages library services at the Ruidoso Public Library including technical Services and the planning and evaluation ofsystem-wide policies, procedure and programs. Responsible for overseeing library facilities, budget, databases,personnel and day to day services. This position is under limited supervision, and is an exempt position. Regular workhours are 8 am to 5 pm, however hours will determined by whatever is necessary to do a quality job. This may includesome nights and weekends. This position entails considerable initiative and independent judgment and the ability to workwith others to accomplish program goals and objectives and integration of program activities. 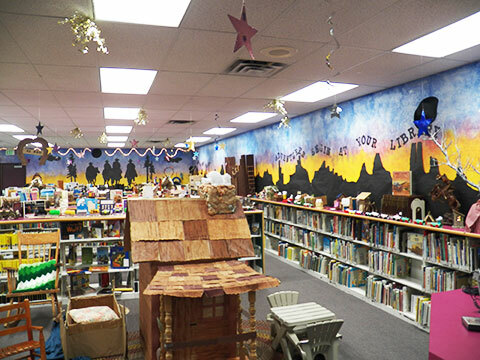 Directs, manages and administers library personnel, budget, programs, grants, marketing, and all library functions of the Ruidoso Public Library. Responsible for all Library computers, labs, and directs IT work that is needed for the Library. To perform this job successfully, an individual must be able to perform each essential function satisfactorily. of duties does not exclude them from the position if the work is similar, related, or a logical assignment to the position.  Administers and evaluates library services such as circulation, public services, children’s services, cataloging, programs, and the e-branch. 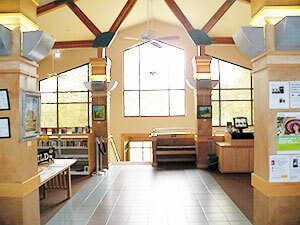  Develops public library collections in print, CD, DVD, microform, and electronic formats.  Responsible for library policy development, database integrity, community assessment, program development and evaluation, community outreach, and short and long range planning. approved budgets. Applies for, administers grants, and GO Bonds.  Responsible for personnel actions such as hiring, termination, discipline, action plans, assignments, evaluation, and training. Conducts and completes performance evaluations for staff and reviews all staff performance evaluations, and communicates regularly with staff.  Negotiates and monitors professional services contracts for the Library System.  Reviews program areas, implements changes or new programs to meet library needs of the community; develops and maintains and implements the library master plan. Governing Body and other regulatory agencies.  Ensures any reports of harassment are immediately reported and appropriate actions are taken.  The above statements are not a complete list of all responsibilities and duties performed by employees in this job. As a condition of employment, employees are required to perform other related duties and special projects as assigned.  Must have a High School Education minimum.  Must have five years of progressively responsible experience in library operations, including three years in a supervisory capacity required.  State of NM Grade 1 Librarian Certificate as required for a Chief Librarian per NMSA 18-2-15 (for communities of population 3,000 – 10,000) required.  Excellent computer skills with the knowledge of LANS, WANS, public computing, Integrated Library Automation Systems, and remote services (e-branch). regulations governing the conduct and safety of library programs and facilities; library classification, cataloging, and acquisition protocols; techniques and protocols for researching a wide variety of online bibliographic databases; business and personal computers, and specialized software applications; Village municipal code, policies and procedures. achievement of Village goals and objectives. equipment; identifying library collection issues and developing suggestions for enhancements; demonstrating effective interpersonal communication skills, building consensus among groups and individuals, and conflict resolution.  Must be willing to take and pass a drug/alcohol test and comply with agency “Drug Free” Policy.  Must possess and maintain valid New Mexico motor vehicle operator’s permit of appropriate classification and endorsement as required. Must agree to maintain a satisfactory MVR and minimum requirement of insurability as required by law. MVR background checks will be conducted by the Village.  Ability to maintain physical condition and stamina appropriate to the performance of assigned duties and responsibilities which may include sitting, standing, or walking for extended periods of time, driving or riding in vehicles.  The usual requirements in a library environment will require lifting boxes of books, equipment and occasional adjustment of office furniture. Light physical demands; mostly desk work; some lifting of heavy books and materials.  Occasional pushing, pulling, lifting and/or moving up to 40 pounds.  Occasional squatting or bending required.  Position involves competing demands, performing multiple tasks, working to deadlines, occasional work beyond normal business hours, irregular schedules, weekends and holidays, and respond to customer issues. Position is subject to drug testing in accordance with applicable State and Federal regulations and Village of Ruidoso policies.  Ability to drive, occasionally long distances.  Ability to perform duties and adapt to flexible work schedules/may be called when needed. Normal travel – ability to travel for activities such as meetings, classes, and workshops in and out of the area.  Must be able to travel by air as needed to attend training, conferences, and related activities.  Overnight travel as required. WITHDRAWAL OF APPLICATION BY THE APPLICANT. DEPARTMENTS PLEASE FILL OUT THIS SECTION!